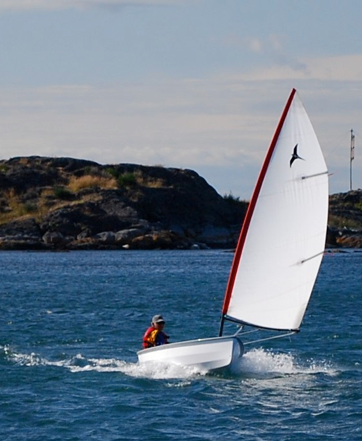 PT Watercraft’s PT Eleven, 11ft Nesting Dinghy is a unique, light-weight, great performance dinghy. We understand that there are many skilled builders who have the skills and the time to create their own “extras”. Therefore, we have several additional options sold separately. They are explained and pictured below with prices. This page also highlights the sailing options we have developed for this boat. 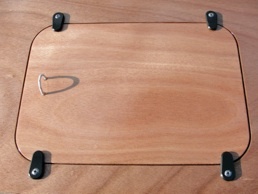 Mahogany Footbrace kit: 8 Mahogany braces cut with ends beveled and edges rounded. We offer them this way for safety’s sake, as a router table, something not everyone will have, is used to round the edges. 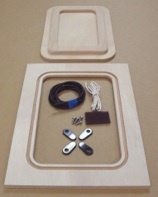 A positioning template is included with the basic PT 11 kit and gluing instructions are in the builder’s manual. We are working on an alternative instruction, if builders want to build their own. Also see the custom carry case for the foils below. We took the sailing option very seriously and it’s good that we did. Most of the PT 11 builders have chosen our rig and foils and I think that the sailing performance attracts people to the boat. 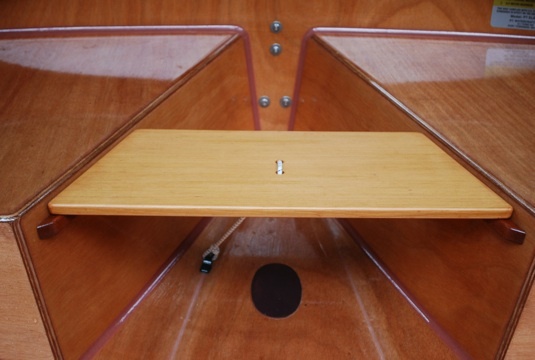 The foils kit (daggerboard and kick-up rudder) for the PT 11 are a machined NACA foil section. They help make the boat go upwind like it should and they are quite beautiful when finished. We are also working on instructions for builders to create their own sailing rig as an alternative. A foil shaped, luff sleeved sail with 2 short battens, app 54ftsq. (DK160) Challenge(TM) sail cloth is made in the USA. 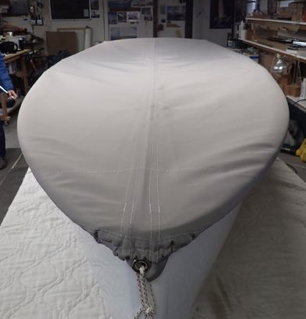 PT 11 Sails are designed by Sandy Goodall and prototyped by Sean Rankins of NW Sails & Canvas. Review of Sailing the PT 11. About the Tiller stock & Hiking stick kit; Tiller is tapered on 3 sides, shaped at both ends & drilled. 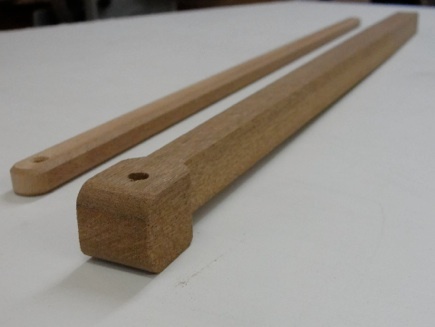 Hiking stick has rounded ends, chamfered edged & drilled for attachment. 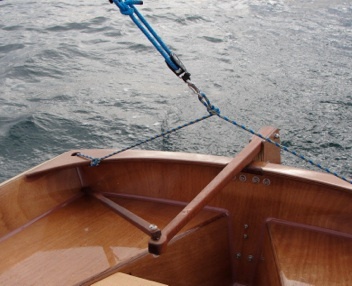 The PT 11 can self steer upwind with the hiking stick (pre-cut to the right length) placed to leeward as shown below. 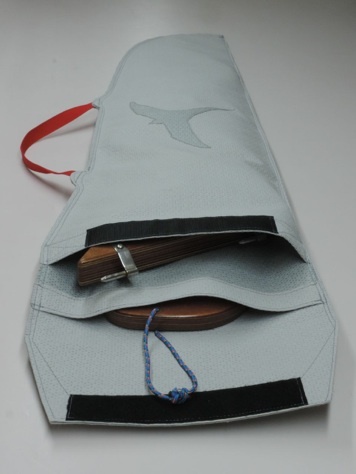 Foils carry case: This custom case is made from “Block-it Evolution” (TM) fabric that breathes, dries fast, is soft to the touch but is tough and durable. Double layers front and back. = (25ft) including 2 part hypalon glue. Also available by the foot HERE. WEST SYSTEM (TM) 105/207 kit: 2 gallon resin with 207 special hardener. +mini-pump set, 406-7 (5.5oz)colloidal silica, 407-15 (12oz)low density filler, 404-15 (15oz)high density filler, 410-2 (2oz)microlight, 12 syringes. (01/01/2017) Shipping included for the lower 48. Are you concerned about your EPOXY footprint? *Generally non-credit card purchases that do not cause high transaction fees, are awarded a 2% discount from listed prices. Weight in bag: 10.5 Lbs. 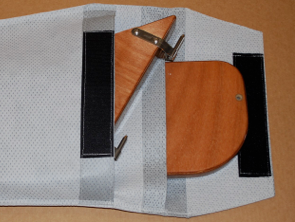 PT SPEAR Rectangular foredeck, water-tight hatch kit option. Options not included with the base kits have a price in the description boxes. 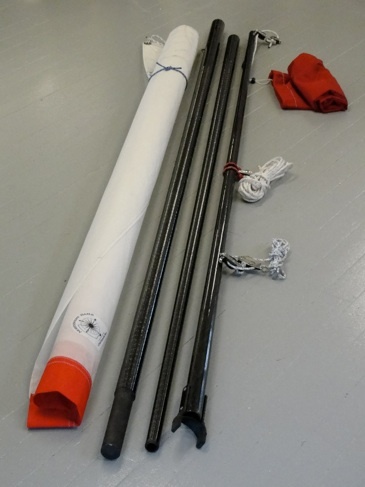 Dinghy Cover Pattern: 36” x 12ft pattern on a roll with instructions to make a full sized cover for the PT 11/Spear. 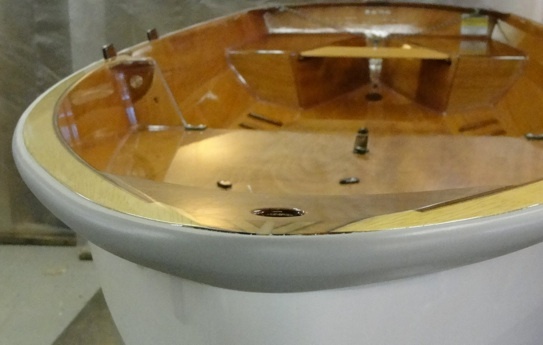 It will work for the nesting dinghy if you plan to sore it assembled. Otherwise a large drawstring bag should work for it when nested. DIY or save money when hiring a canvas shop. $30 to include with the PT 11/SPEAR base kits. 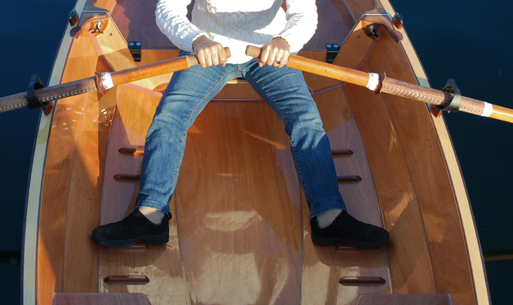 Red Cedar Back seat kit: This seat is cut from hand picked tight grain cedar. Seat, bungee, and carbon eye-strap.